In July 2015, the EPA said it could not release efficiency data on pellet stoves, since manufacturers of the stoves claimed that it was "Confidential Business Information." The EPA is required to disclose emissions, but it does not necessarily consider efficiency close enough to emissions. 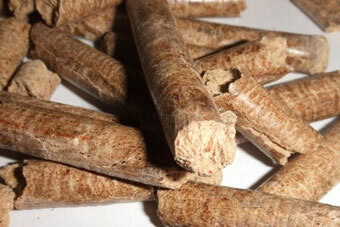 Pellet stoves are one of the most popular renewable energy technologies in American homes. About one million homes use pellet stoves in the United States, yet none of the major stove manufacturers were disclosing the tested efficiency of their products. The EPA recently set stricter emission standards for wood and pellet stoves, but did not require the disclosure of efficiencies of stoves currently on the market. The Alliance for Green Heat filed a Freedom of Information Act (FOIA) request with the EPA on June 3, 2015 urging the agency to release stove emission and efficiency information. In their response letter, the EPA released detailed emission test results and other data, but issued a partial denial on efficiency information until it contacts manufacturers to see if they agree their efficiency values can be released. To date, consumers have been left in the dark as to whether they own a 50% efficient stove or an 80% efficient stove. The Alliance for Green Heat filed the Freedom of Information Act Request to get more data on the certification test, the moisture content of the pellets used in the test and because of a longstanding problem with stove manufacturers advertising misleading and exaggerated efficiency claims. The EPA has made efforts to reduce misleading efficiency claims by outdoor boiler manufacturers but not by wood or pellet stove manufacturers. In response to the request, the EPA released 42 pages of documents showing how 7 popular North American pellet stoves and 3 European pellet stoves were tested and at which burn rates they are cleanest. One of the stoves was tested with pellets with only 2.3% moisture content, where most others used pellets with 5 - 7% moisture content. Most commercially available pellets have 5-8% moisture content. The EPA declined to provide the brand name of pellets used in testing. that are specially dried and ground up. No federal or state agency requires manufacturers to use a common method of reporting stove efficiency in their promotional materials. Most households use pellet stoves because they can save $500 to more than $2,000 per year instead of oil, propane or electricity. 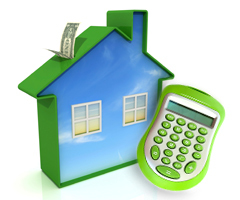 However, the potential savings fluctuate widely based on the efficiency of the stove. Testing for efficiency has not even been required by the EPA prior to 2015. The initial information released by the EPA indicates that it does have efficiency values for some stoves. However, the EPA left open the possibility that it might release the efficiency values if the Alliance for Green Heat wants to receive a “final confidentiality determination” that would involve giving manufacturers an opportunity to substantiate their confidentiality claims. If the EPA informs manufacturers that it agrees that efficiency information should be public, manufacturers would have to challenge the EPA in court to prevent the EPA from releasing that information. John Ackerly, President of the Alliance for Green Heat said that the organization intends to seek a final determination from the EPA. “Cars, furnaces and large appliances all have to report their efficiency and energy use to the public and this is a critical part of helping consumers save money and help the environment. Why should there be a special exemption for pellet stoves?” Ackerly asked. “The lack of transparency on efficiency is holding back this sector, as other forms of renewable energy are quickly gaining traction,” Ackerly noted. The new EPA wood heater regulations will require manufacturers to disclosure the efficiency of new wood and pellet stoves tested after May 15, 2015. However, stoves that are already on the market will not need to be tested for another 4-5 years and will not be required to disclose their efficiency until this time. Many manufacturers obtain efficiency data during their EPA certification tests and include them in their test reports to the EPA, although they do not release them to the public. The FOIA was an attempt to get the EPA to release this information that it already has in its files. Pellet stoves have a very wide range of efficiencies and manufacturers may claim that if they released the actual efficiency of their stoves it cold cause substantial harm to their competitive position, which is one of the reasons the EPA withholds business information. Stove manufacturers are also hesitant to disclose efficiency information to their consumers because if their efficiencies are under 75%, their product would not be eligible for a federal tax credit that has often been retroactively renewed and requires a 75% minimum efficiency. Since neither Congress, nor the IRS, nor EPA requires any standardized measure of efficiency, stove manufacturers can claim that nearly 100% of stoves on the market are 75% efficient. If the EPA were to disclose actual efficiencies, it would make it harder for manufacturers to convince consumers that all their stoves were over 75% efficient. The number of U.S. homes with pellet stoves far outnumber those with residential solar panels by a ratio of about 2:1. Pellet stoves typically cost $1,100-$3,500, and have a payback period of 3-7 years depending on such factors as the price of the fossil fuel being displaced, the frequency the stove is used – and its efficiency.